Adobe® Dreamweaver® CS6 web design software provides an intuitive visual interface for making and editing HTML websites and mobile apps. Use fluid grid layout designed for cross-platform compatibility to create adaptive layouts. Review designs with Multiscreen Preview before publishing. Find out more about fluid grid layout, enhanced jQuery Mobile support, CSS3 transitions, and other features introduced in this latest version of the leading software for designing and editing websites and mobile apps. Develop complex e-commerce sites without writing any server-side code by integrating with the Adobe Business Catalyst® platform (available separately). Set up and host free trial sites. Design, develop, and deliver websites and mobile apps efficiently with faster FTP transfers and improved image editing. Build mobile apps with updated support for jQuery Mobile and Adobe PhoneGap™ frameworks. 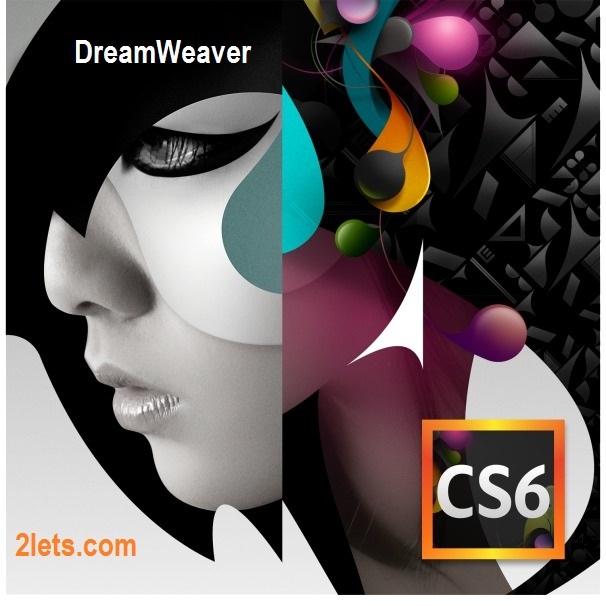 Transfer large files more efficiently with improved FTP performance in Adobe® Dreamweaver® CS6 software. Updated Live View and Multiscreen Preview panels render HTML5 code so you can check your work. Create cross-platform and cross-browser-compatible web designs using the CSS3-based fluid grid layout system. Work faster and more efficiently as you develop projects using clean, industry-standard code for a wide range of devices and computers. Visually construct complex web designs and page layouts without getting buried in code. Save time uploading larger files with the reengineered multithreaded FTP transfer tool. Upload site files faster and more efficiently to speed production time. Use the integrated Business Catalyst panel in Dreamweaver to connect and edit sites you build with Adobe Business Catalyst (available separately). Build e-commerce sites with the hosted solution. Build native mobile apps for iOS and Android platforms using updated support for jQuery Mobile. Build apps to reach mobile audiences while streamlining your mobile development workflow. This Dreamweaver update offers expanded support for HTML5 with improved Forms, additional Semantic element support and new HTML5 Audio/Video controls in the Insert Panel. In addition, an overhauled Insert Panel provides a more meaningful and organized workflow, with some dialogs such as Tag Editor and TagChooser having been removed – without taking away the functionality. We also invested heavily in developing a streamlined workflow with Edge Animate. Designers will now be able to import their HTML5-based compositions directly from Edge Animate into Dreamweaver, thereby creating a clear path between the two applications. Finally, enhancements to the Properties Inspector make adding HTML5 video and audio easier than ever. A more streamlined User Interface, containing fewer dialogs for new workflows and functionality, offers non-intrusive editing experiences. - Microsoft® Windows® XP with Service Pack 3 or Windows 7 with Service Pack 1. Adobe® Creative Suite® 5.5 and CS6 applications also support Windows 8. - This software will not operate without activation. Broadband Internet connection and registration are required for software activation, validation of subscriptions, and access to online services. * Phone activation is not available.